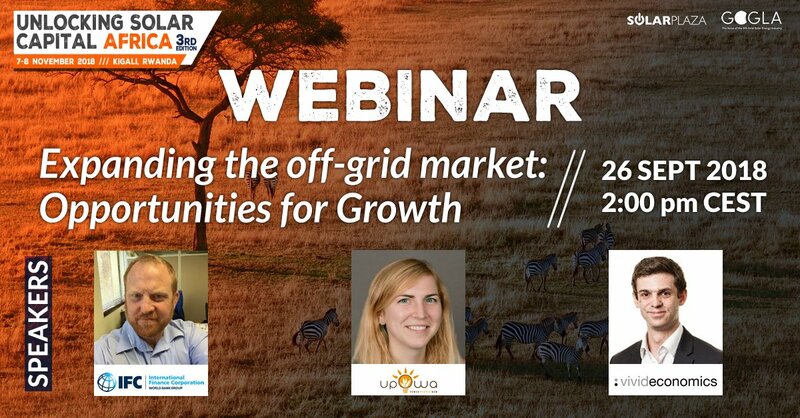 IFC’s Daniel Shepherd, Head of Energy & Water Advisory Services for Sub-Saharan Africa, leads an exciting online discussions about the opportunities for growth in the off-grid market. The pay-as-you-go (PAYGo) business model is proving to be an effective approach in delivering electricity access through distributed solar, and the sector has gained significant investment interest and activity. Still, there is considerable untapped opportunity for growth across Sub-Saharan Africa, with various drivers impacting market growth.